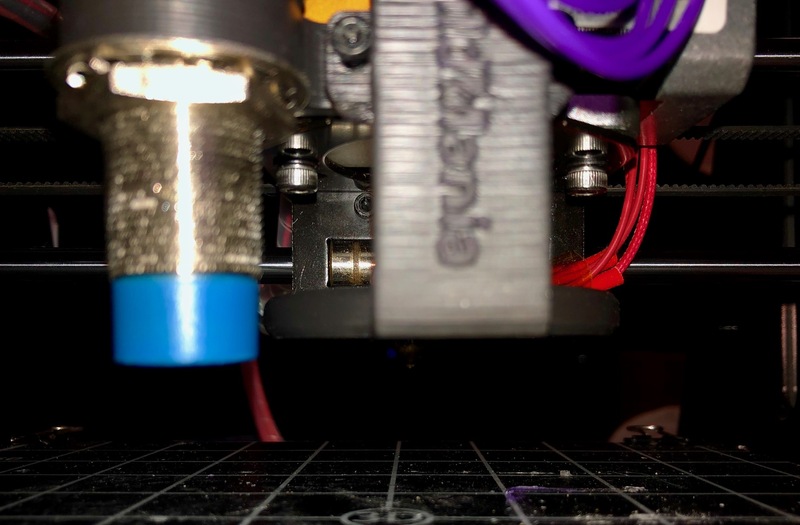 I'm trying to get auto bed levelling working with my Geeetech I3 Pro B. I'm using the latest Marlin firmware and a capacitive fixed mounted sensor (self-made as replacement of the z min switch). Zero point detection is working probably and also the auto bed levelling is almost running the complete procedure. The only important thing I can't get working is the raising of the Z axis after probing. The probing is always continuing from the last found Z end position. That means for a bed that falls down from probe point 1 to N it would theoretical working. BUT this is never the case and from my understanding after every probing the z axis should raise about 10mm and than move to the next position. also for more than one tries at one probe position I would expect it will raise before next probing. I have attached my Configuration.h and also a serial plot of the auto bed levelling in debug mode. Thanks to all contributors upfront! This should be a negative value as the probes 'trigger' point will be below the nozzle. Edited 1 time(s). Last edit at 04/17/2019 11:42AM by obewan. The settings that configures that are Z_CLEARANCE_BETWEEN_PROBES and Z_CLEARANCE_MULTI_PROBE (if you have MULTIPLE_PROBING enabled). 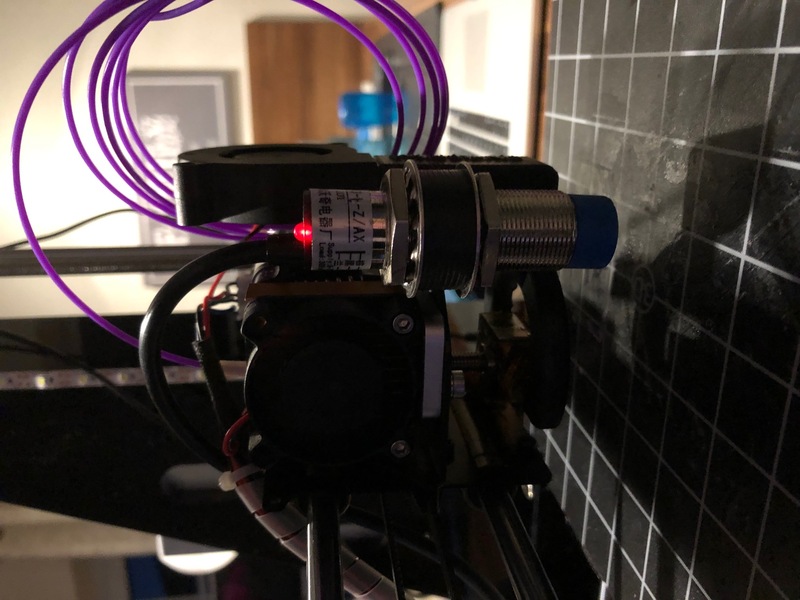 Those look fine in your configuration, but as obewan suggests it seems very strange that with a capacitive probe you have a positive Z_PROBE_OFFSET_FROM_EXTRUDER - that is usually only the case if you are using something like a piezo sensor that uses the nozzle tip to detect the bed. All without success. The printer is still not raising between probing and currently after probing it is crashing into the bed and I have to manually turn it off. Please see attached the latest Configuration file and serial log in debug mode. Please see attached two Fotos of the mechanical setup itself.